(Marana, Ariz.) — An investment by Google pioneer Ray Sidney in The Residences at The Ritz-Carlton, Dove Mountain has eliminated all community debt associated with the project, creating lower cost opportunities for luxury home buyers interested in purchasing Dove Mountain’s luxurious homes or custom estate homesites. David Mehl of Cottonwood Properties, Inc., developed Dove Mountain that’s nestled in the foothills of the Tortolita Mountains here near Tucson. 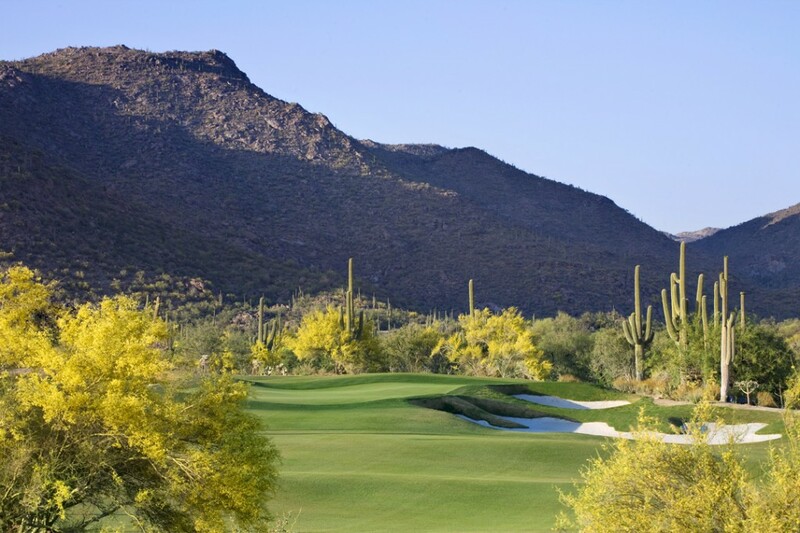 The homesites are placed strategically along the 27-hole Jack Nicklaus Signature Golf Course and near The Ritz-Carlton, Dove Mountain luxury resort hotel. Sidney’s investment in The Residences at The Ritz-Carlton, Dove Mountain fits with his personal mission to invest in and develop sustainable real estate projects. A Harvard graduate with a Ph.D. from MIT, Sidney joined Google in 1999 as a software engineer, becoming the company’s third employee. He left in 2003 and has since been involved in a variety of philanthropic enterprises focused on the environment and education. Already underway, the initial residential phase of The Residences at The Ritz-Carlton, Dove Mountain will have 110 highly-personalized homes featuring the finest in design and finishes, together with 16 custom estate homesites. New prices for the Amolillo single family homes start at $1.1 million; seven Saguaros single family homes start at $1.5 million; and custom fairway homesites start at $590,000; villas start at $925,000; and Rockpoint Ridge custom homesites start at $605,000. The Ritz-Carlton community in Marana includes a resort, spa, and golf club featuring Jack Nicklaus Signature Golf in addition to The Residences at The Ritz-Carlton, Dove Mountain. Encompassing 750 acres within the Dove Mountain master-planned community, the new Ritz-Carlton is the ultimate in luxury vacationing as well as luxury living in the high Sonoran Desert. The Ritz-Carlton, Dove Mountain is designed to be a casually elegant yet sophisticated resort, featuring a 17,000 sq. ft. spa, and 250 luxury guest rooms, including 24 individual casita suites. Guests enjoy spectacular views of the Tortolita Mountains and historic petroglyphs carved into mountainsides from 300 BC to 1,400 AD by the Hohokam Indians. The Ritz-Carlton, Dove Mountain also has magnificent views of four other surrounding mountain ranges comprised of the Tucson Mountains, the Santa Catalinas, the Rincons and the Santa Ritas. A variety of luxurious meeting spaces includes three ballrooms ranging from 2,100 sq. ft. to 9,000 sq. ft., as well as five individual meeting rooms. Three restaurants, from gourmet to casual, will serve sustainable, regional and organic cuisine with Southwestern influences. The Ritz-Carlton Hotel Company, L.L.C., of Chevy Chase, Md., currently operates 72 hotels in the Americas, Europe, Asia, the Middle East, Africa, and the Caribbean. More than 30 hotel and residential projects are under development around the globe with future openings including Dubai International Financial Centre, United Arab Emirates; Dove Mountain, Tucson, Arizona; and Lake Tahoe, California.